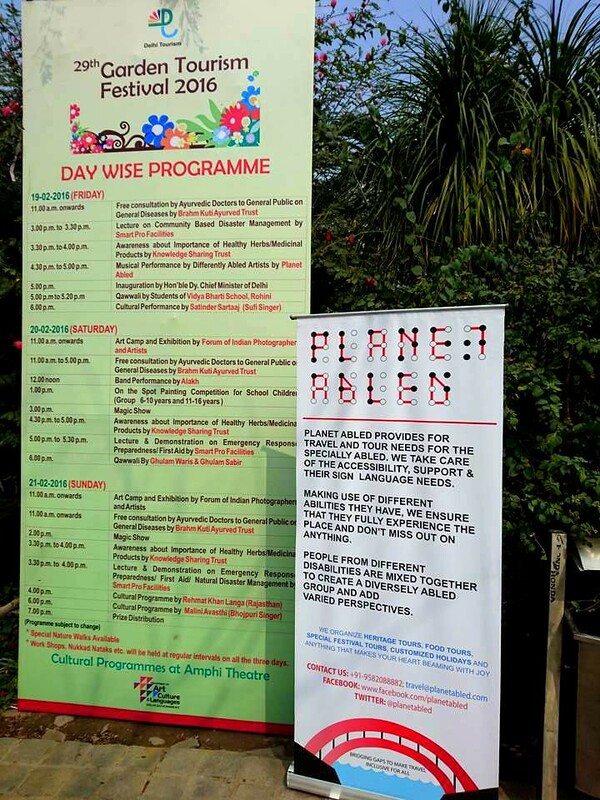 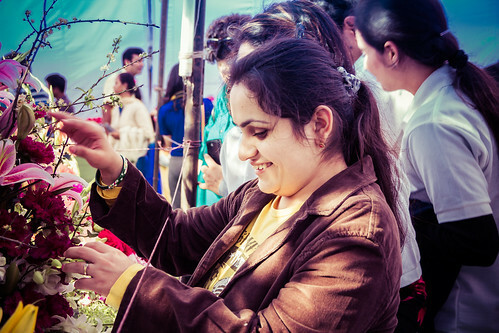 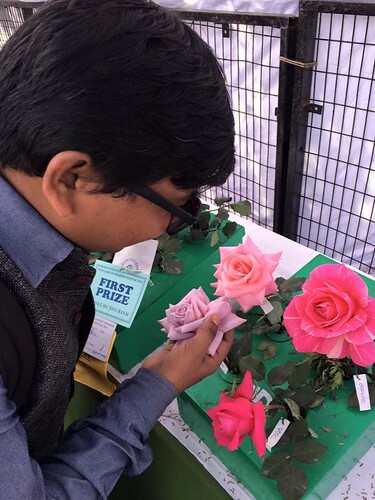 Garden Tourism Festival 2016: No words for that joy that is visible on Ambika's face, on touching the flowers. Garden Tourism Festival 2016: The group which went for the festival posing for the group photo. 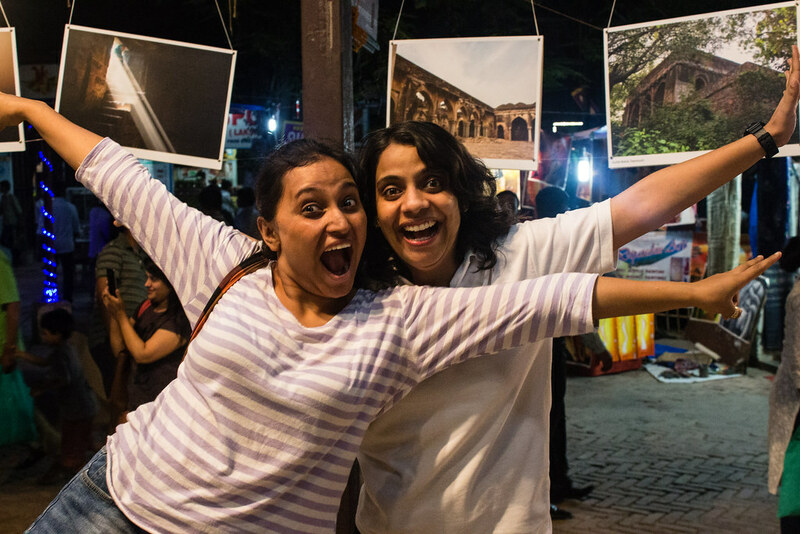 My disability doesn't stop my wanderlust: From L to R: Rupmani and Neha posing for a photo. 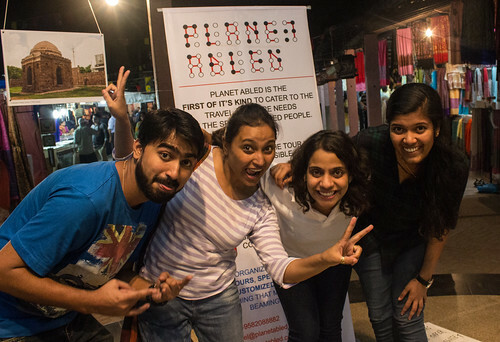 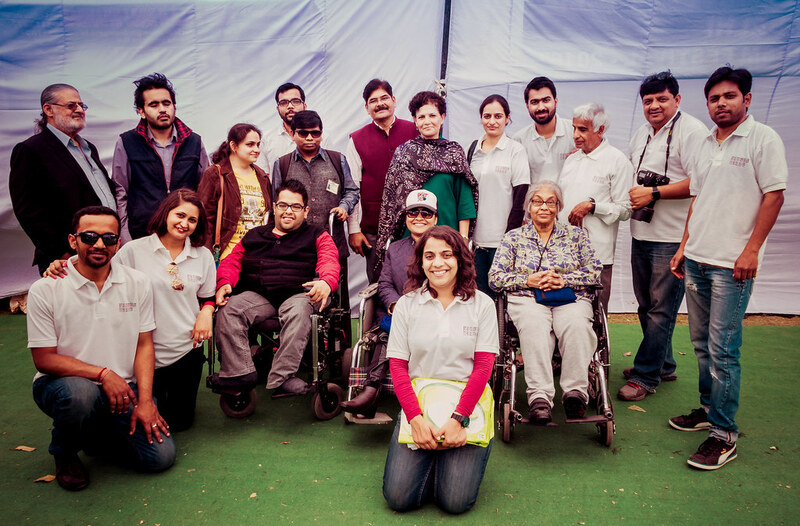 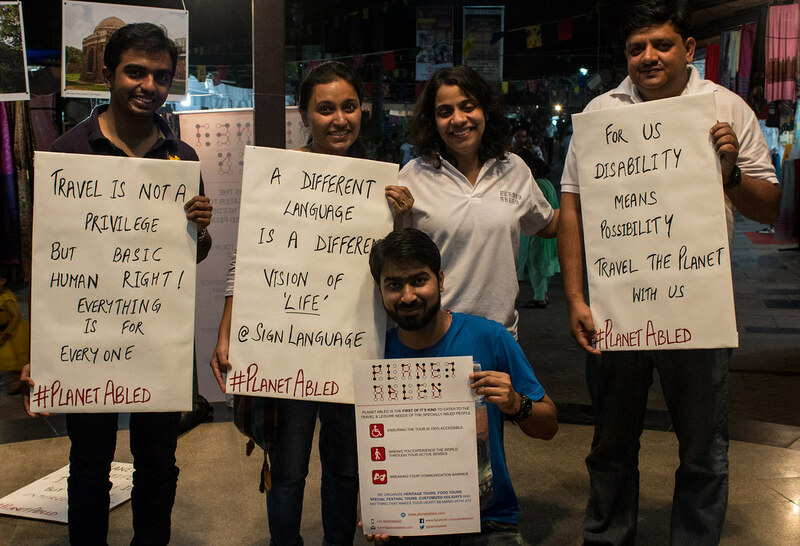 My disability doesn't stop my wanderlust: The group posing here with the photo in front of a Planet Abled standee. 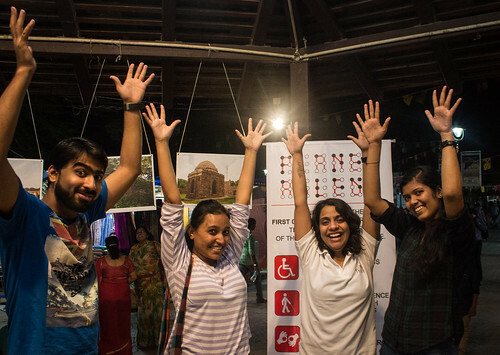 My disability doesn't stop my wanderlust: The group with their hand raised for clapping in Sign Language. My disability doesn't stop my wanderlust: The group standing with different posters but with the same underlying message, disability means possibility. 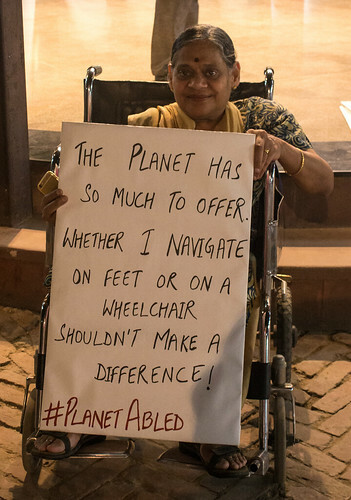 My disability doesn't stop my wanderlust: The planet is so beautiful I can't see it but I can experience it. 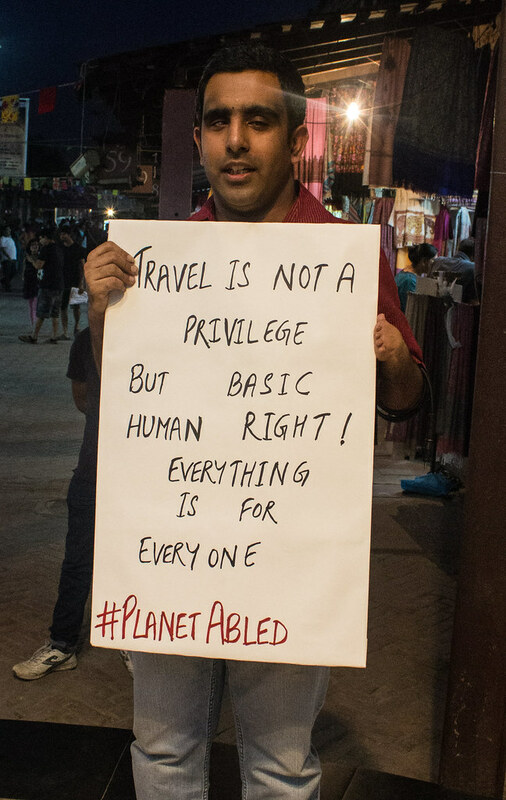 My disability doesn't stop my wanderlust: Travel is not a privilege but a basic human right! Everything is for everyone, reads another poster. 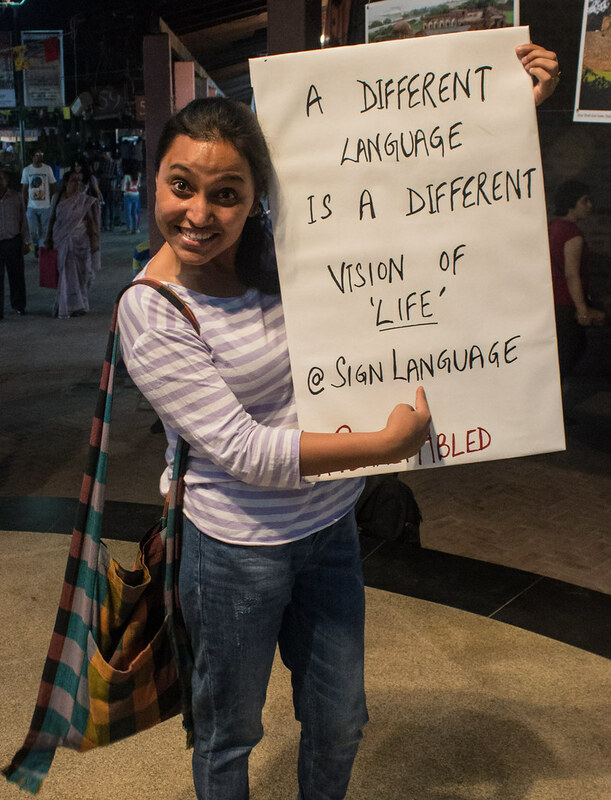 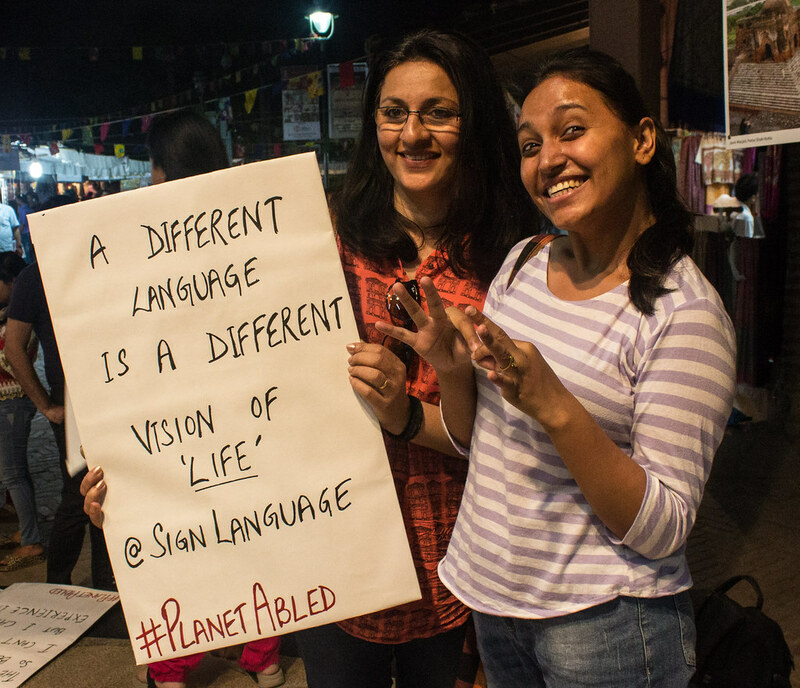 My disability doesn't stop my wanderlust: 'A different language is a different vision of 'Life' @SIgnLanguage', reads the poster of our traveller Rupmani. 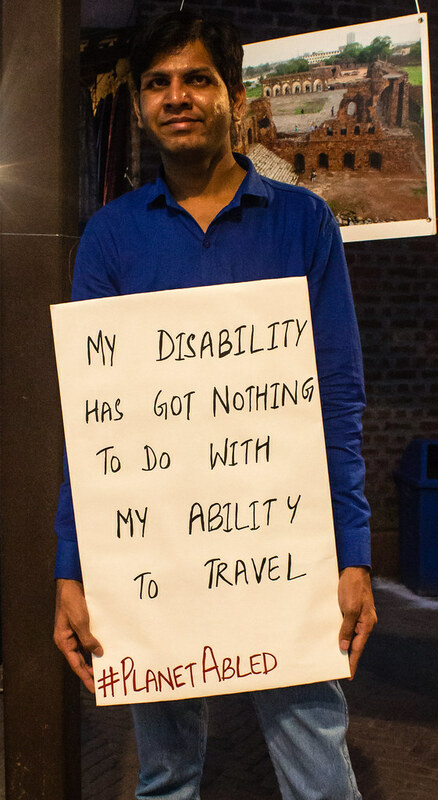 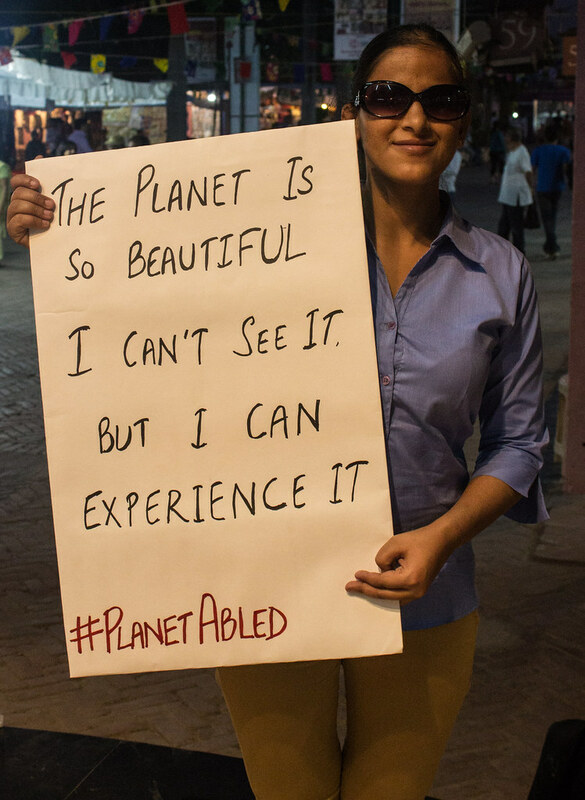 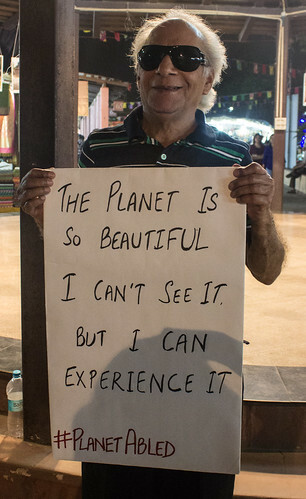 My disability doesn't stop my wanderlust: One of our travellers with a poster, which says. 'My disability has got nothing to do with my ability to travel'.